Rolls of tape on sets and stages have a way of sprouting legs and walking away. A request to “borrow” a little tape quickly turns into a permanent borrowing. The borrower had good intentions regarding returning the tape, but it just never happened. At the end of the day it wound up in somebody else’s tool box, someone who had managed to convince themselves that the tape was theirs. You’ve got a roll of console labeling tape and you’ve got a Sharpie Marker in your pocket. Time to solve this problem. 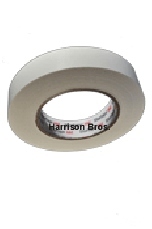 Write your name on the inner hub of the tape roll so that whomever borrows it will be sure that it s never theirs. Better yet, write “stolen from )your name)”. That roll of tape will magically find its way back to you, or most of it anyway.